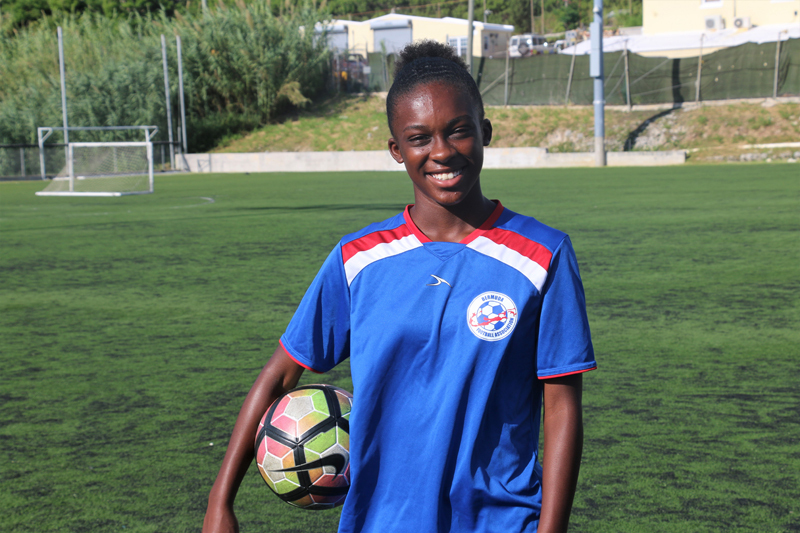 In the first in a series of profiles of football players who will be part of the team representing Bermuda at the CONCACAF Caribbean Women’s U17 Qualifier this month, we spotlight 16-year-old Nia Christopher. I feel that it is a great opportunity and that it will be a great experience. 2. How will you prepare for the competition? I will prepare by working hard and continuing to do what I have to do. 3. When did you start playing football and what prompted you to start? I started when I was 4 years old and I would have to say my daddy prompted me to start because he used to play football so I thought I would try it too. 4. What are your plans for your time in St. Lucia besides Football? I guess I would like to do some sightseeing and explore St. Lucia a little because I have never been there before. 5. Which Bermudian athlete, coach or sporting figure do you admire most and why? I admire my daddy the most because he has always been a role model to me. The CONCACAF Caribbean U17 Qualifier will take place this month in St Lucia, with the Bermuda team set to match up against St Lucia on August 22nd, Antigua & Barbuda on August 24th, and Aruba on August 26th. Thanks for giving us your talent!!! Good luck! !